Tom Brady on his friendship with Donald Trump: why is it such a big deal? The New England Patriots are headed back to the Super Bowl for an NFL-record ninth time. Naturally, what is on people's minds is his relationship with Donald Trump. People are always going to talk, especially when you’re Donald Trump and Tom Brady, but the Patriots quarterback doesn’t know why their friendship is such a big deal to people. With Trump's inauguration happening just four days ago, their friendship was bound to be brought up sometime. 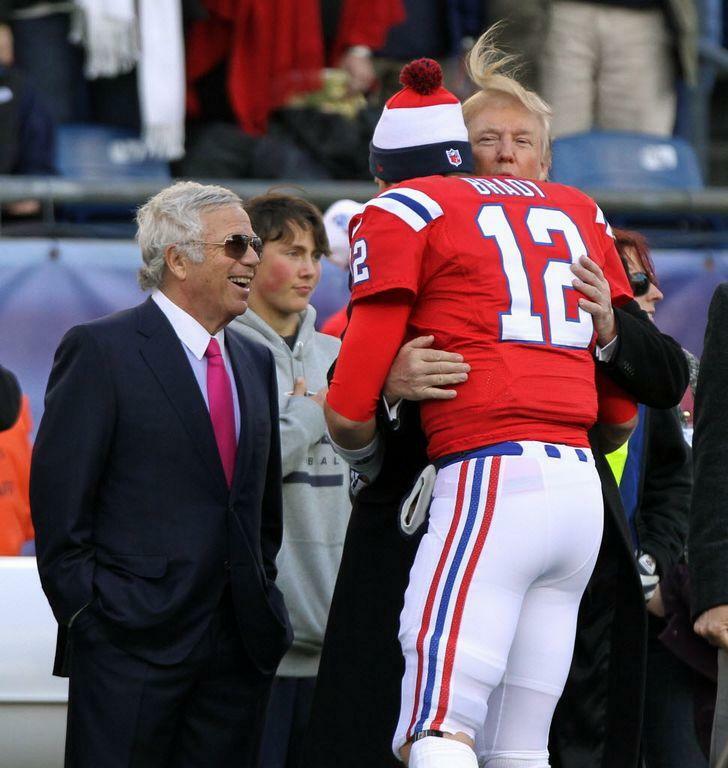 Trump has recently stated that Patriots owner, Robert Kraft, and Tom Brady called him before the inauguration to say congratulations. Brady was then asked if he would confirm that he made the call. Brady went on to say that just because you know someone, it doesn’t mean that you agree with everything they say or do. He likes to keep his friendships and opinions to himself. So there you have it. Yes, Tom Brady has called Donald Trump in the past, and no, he doesn’t really care to talk about it.